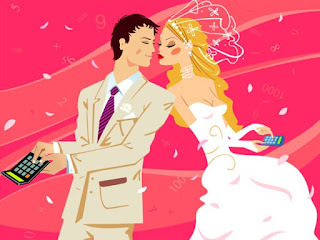 Of Wedding Budgets and Compulsive Brides-to-Be | Mommy Joys | Marriage, Motherhood, Life. Rolly and I at the onset did set our priorities, we had an agreement about what we intend to splurge on, and what we can do without. We agreed on a budget range from Day 1 of our wedding planning, since all elements of the plan would have to depend on how much money we are willing to spend. We've been engaged for seven months now, and during the course of this time, we have gone to several bridal fairs, met lots of wedding suppliers, and booked the chosen ones from them. I, the bride-to-be, learned all the bits and pieces that will form the wedding of my dreams, the wedding that has been inside my head ever since I was as small as a pumpkin. Admittedly, I had gone "astray." =D Without thinking of the originally agreed expense list, my "nice-to-haves" have turned into my "non-negotiables." Today, our list of wedding suppliers is almost complete ('almost' because we have yet to book a quartet, but we've budgeted for it already). I opened our wedding worksheet this morning, and calculated our balances. Would you like to know if we are within our budget range? The answer is NO. We have exceeded it by more than a hundred thousand bucks (Yup, the culprit is me)! But I feel happy. =D Our bank account (plus a little help from Rolly's parents) says we could pay off the expenses! Yaaaay! To my husband-to-be, thank you. Since 888 and even when you were still courting me, you have always made sure that I am happy. You're sad when I frown, you're worried when I am not satisfied. Thank you thank you thank you. You are more than what I deserve, but God gave me you. I can't ask for a better fiance and husband, because in my heart of hearts, I am certain that you are the best.